You’ve reached our “welcome” page! We are the Roanoke Division of the American Radio Relay League, the national association for Amateur Radio®. 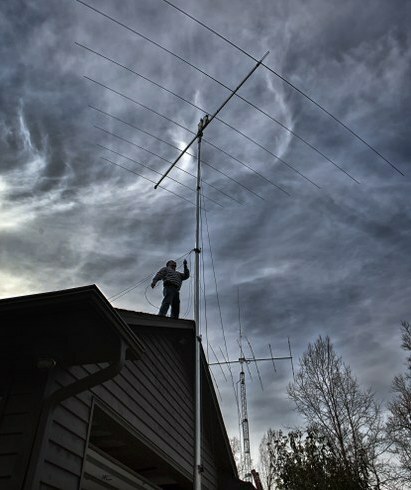 We support organized Amateur Radio, also called “ham” radio, here in the Virginias and the Carolinas. In the event you arrived here by accident, you should know that, yes, people still do that, and in record numbers, but it’s not your grandfather’s ham radio any more. You don’t need a roomfull of radio gear to talk to the world via ham radio. An FCC license is required, but these are convenient to get now that we hams give the exams ourselves. You can find all the information you need about becoming a ham radio operator on the ARRL’s website. Click HOME to go to the Roanoke Division’s home page. In addition to introducing you to our Division’s leadership, you’ll find information on Amateur Radio activities in the four states (“sections”) that we call home, and news about the awards that we give to hams in our area who have performed distinguished service. Click NEWSLETTER to view the latest Roanoke Division Newsletter or ARCHIVE to view them all. Click HOLIDAY GREETINGS! to view the Roanoke Division's 2017 Christmas Card and 2018 Events Calendar, courtesy of your ARRL-Roanoke leadership.